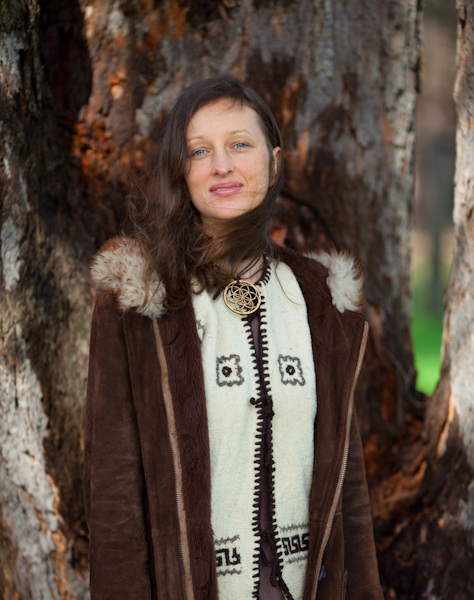 I (Lara Atwood) am a practitioner of and researcher into the native Indo-European religion of my ancient ancestors, who migrated into Europe many thousands of years ago from the Steppe region, and which is a branch within a larger family of related solar religions stemming from what I call the ancient Religion of the Sun. I am descended from both those Indo-Europeans who migrated into Europe, and those who remained around the Steppes until the Russian revolution (which they fled). I am of mixed Indo-European heritage – being of British, Germanic, French, and Slavic ancestry. Between 2011 and 2016, I helped co-author Mark’s (Belsebuub’s) book on the ancient Religion of the Sun titled The Path of the Spiritual Sun by providing much of the research in it. Since 2013 I’ve written a number of articles and blogs that have been featured on the GaiamTV (now Gaia), David Icke, and Waking Times websites. I now run the website Sakro Sawel and the YouTube Channel of the same name, which my husband Mark and I created in 2017, as a place to share our research on the ancient Religion of the Sun and instigate its revival. The name Sakro Sawel means “sacred sun” in the ancient Proto-Indo-European language. Mark and I first came across evidence for the Religion of the Sun while researching and writing our book called The Path of the Spiritual Sun, which we began working on in 2011. Since then I have read well over a hundred ancient texts from different traditions and studied excerpts from many others. I have researched scores of ancient sacred sites and hundreds of ancient illustrations, as well as the oral histories of indigenous peoples from around the world. By combining this research with Mark’s spiritual experience, we were able to uncover the deeper meanings and practice of the ancient Religion of the Sun, which had become lost over time, as well as the story of its origins and history. Currently, I’m completely dedicated to the practice of the Religion of the Sun, as well as to researching and reviving it so that people today can practice it again, just as their ancient ancestors did. I have already presented and produced a number of videos on the subject, and plan to make many more. I’m also currently helping to provide the research for a new series of books Mark is working on at the moment, in which he will describe the path of the spiritual sun/son that lies at the heart of the Religion of the Sun. Mark is a spiritual teacher, but I’m a writer and researcher, not a spiritual teacher – which is an important distinction to make. The spiritual knowledge on this site has been uncovered through Mark’s own experience, which I help to record and make available. I also use it in my research to decipher ancient texts, sites, and myths that would have otherwise remained obscure and incomprehensible. I grew up surrounded by the beauty of nature and had a number of spiritual experiences as a child, which prompted me to attend a session of Church and Sunday School with my best friend at the age of 7, even though my family was not religious. I was curious to find out more about spirituality, but was disappointed by the stale old Church and unintelligible sermon, and even more so by the silly stories of Sunday School that I couldn’t understand how anyone, even children, could believe. That was enough for me to decide that I needed to look further than the current mainstream religions for answers; instead I felt the spiritual was alive and teaching through nature itself, where I would spend everyday as a child immersed in the mystical sense I felt from it. That’s why it’s personally so incredible to now discover the principles described in Mark’s work imbued in the natural world, and symbolized in the ancient Religion of the Sun. My great, great grandfather was a Cossack (in what is now Ukraine where the order was founded) on one side of my family. Being involved with the Cossacks my family were “White Russians,” who fled Russia (specifically Odessa in Ukraine) to escape the “Red” Bolshevik revolution. On the other side of my family in Britain was a mysterious ancestor who was named after the city in Palestine (Acre) that was the headquarters of the Knights Templar in the East – making them possibly a Crusader or member of the Templars. This name traveled with my family line to Scotland, where it is believed the Templars fled after their persecution in France to found the Freemasons, and my grandfather still carried the name hundreds of years on. Because of the often secretive nature of the order, and the scant records kept, I’ll probably never know if a member or members of my family were involved in the Knights Templar. Still, I believe today that spiritual principles and knowledge again needs to be defended by “spiritual warriors,” as well as the right to pursue the most fundamental reason for existence – spiritual awakening. I respect the right of all people to practice the religion of their choice, as long as its ideology does not prevent others from doing the same and/or it promotes unprovoked violence towards any other living beings. I also believe that all peoples have the right to preserve their culture, their ethnicity, and their nations, as long as it does not infringe on the right of others to do likewise.